Nuance is reportedly working on a new type of voice recognition technology that will work when a smartphone is in sleep mode. This would allow users to utilize services like Siri without having to wake the phone up or even touch it, a step that some believe is a barrier to more wide-spread use. 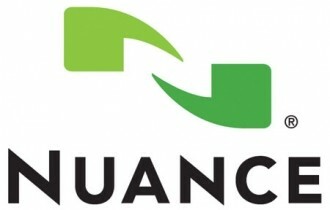 Nuance chief technology officer Vlad Sejnoha said his company is working with multiple chip manufacturers to develop a solution. It isn’t exactly as clear-cut as one might think as the hardware inside the phone would have to actively listen for voice commands at all times without consuming enormous amount of resources and ultimately, power. The CTO said Nuance is also working on improving existing voice recognition technology by enabling a device to better distinguish a user’s voice from an ongoing stream of noise – such as in a crowded room or on the subway. Software makers will have to proceed with caution, however, as they won’t want the advancements to be used in a way that comes off as creepy or annoying. The latter was the case with Microsoft’s Office assistant Clippy which ultimately led to its demise. Furthermore, privacy concerns will certainly gather some attention as some people won’t be comfortable with a device that is constantly listening to its surroundings. Those concerns would only rise at the possibility of hackers gaining unauthorized access to a handset. Sejnoha told Technology Review that chips should begin shipping in smartphones within the next year or two.